This is an invitation to participate in an expert assessment of subsea permafrost carbon stocks and vulnerability to climate change. Details are included in this questionnaire. Briefly, we have developed a questionnaire asking for quantitative and qualitative estimates of organic carbon and methane pools and fluxes in the subsea permafrost domain. Our goals are to use the diversity of responses across the research community to 1. generate hypotheses of the past, current, and future state of the subsea permafrost system, and 2. identify knowledge gaps and uncertainties. Find more details here. Deadline for responses is March 14. 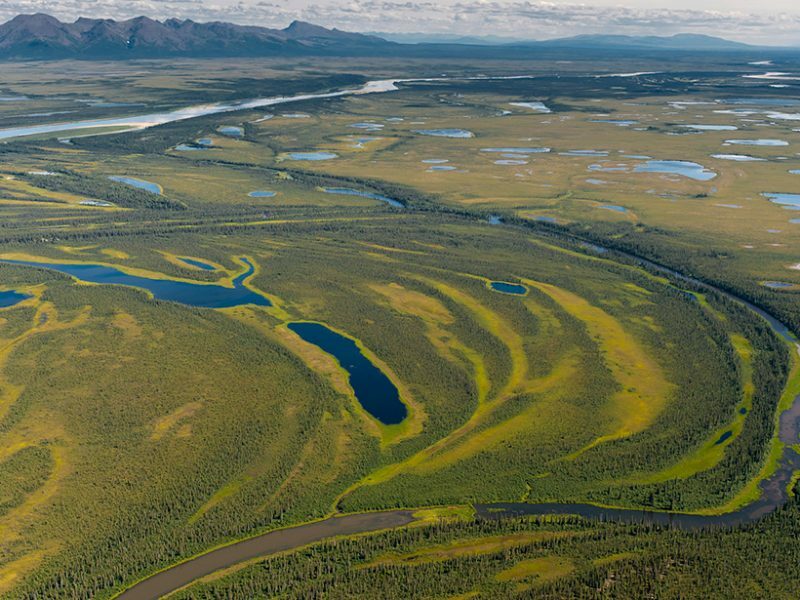 The 8th Annual Meeting of the Permafrost Carbon Network (PCN) will take place on Sunday, December 9, 2018. Our program is structured into synthesis updates in the morning and breakout sessions focused on specific syntheses and new topics in the afternoon. You need to be registerd in order to attend the meeting. The results from this model intercomparison suggest that effective mitigation efforts during the remainder of this century could attenuate the negative consequences of the permafrost carbon–climate feedback. There is a clear need for the scientific community to better understand the sensitivity of methane emissions to ongoing climate change in the northern permafrost region. 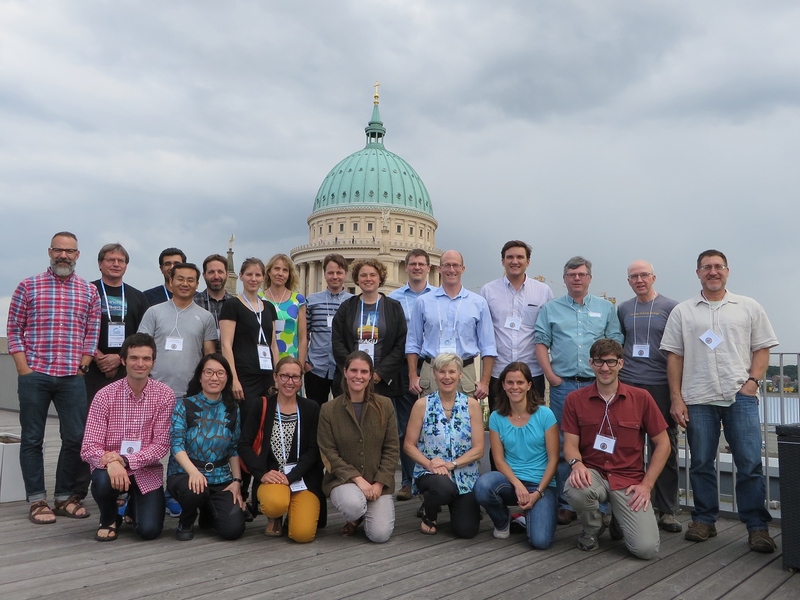 Read more about the International Workshop to Reconcile Methane Budgets in the Northern Permafrost Regions here. Citation: McGuire AD, Kelly BP, and Sheffield Guy L(2017), Resolving a methane mystery in the Arctic, Eos, 98, https://doi.org/10.1029/2017EO076733. Xia et al. 2017 is selected as EOS research spotlight by the editor. Click on the links for the full EOS report and the paper. Abbott et al. 2016 entitled 'Biomass offsets little or none of permaforst carbon release from soils, streams, and wildife: an expert assessment' has been selected by the editors of Environmental Research Letters for inclusion in the exclusive 'Highlights of 2016' collection. See here for more details. The area covered by these maps provides a useful update of the spatial distribution of Yedoma for a very large region in Siberia. The dataset will serve as a central database for future refinements of additional Yedoma regions, and provide a useful starting point to revise the size of deep permafrost carbon pools in the Arctic based on surface geology and the distribution of cryolithofacies types at high spatial resolution. Click here to access the database. The Permafrost Carbon Network is part of the multi-million dollar Study of Environmental Arctic Change (SEARCH) project. 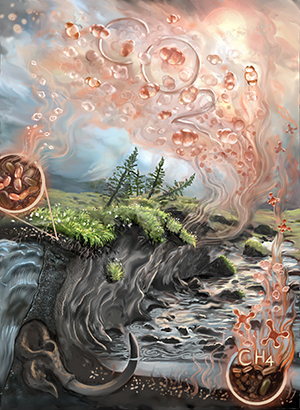 The SEARCH project, headed by the University of Alaska Fairbanks as the lead institution and Northern Arizona University as one partner, is a system-scale, cross-disciplinary research program that seeks to connect the science of Arctic change to decision makers. The Permafrost Action Team, led by Ted Schuur will, in part, support activities developed by the Permafrost Carbon Network. The network has been successfully running since 2011 and includes more than 300 scientists from 88 research institutions located in 17 countries. 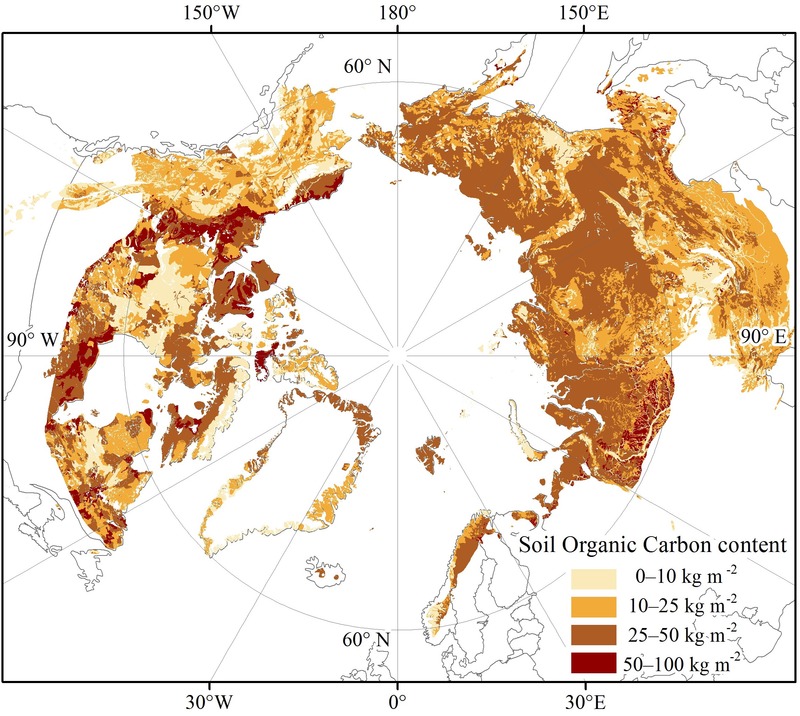 Approximately 1330-1580 Pg of soil carbon are estimated to be stored in soils and permafrost of high latitude ecosystems, which is almost twice as much carbon as is currently contained in the atmosphere. 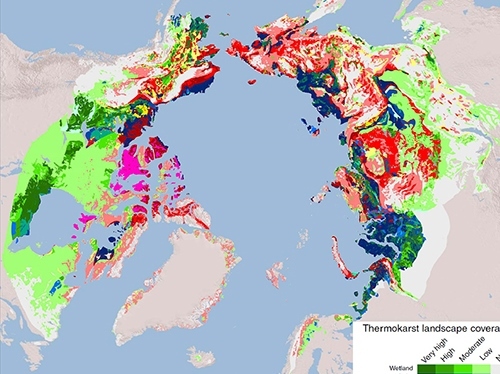 In a warmer world permafrost thawing and decomposition of previously frozen organic carbon is one of the more likely positive feedbacks from terrestrial ecosystems to the atmosphere. 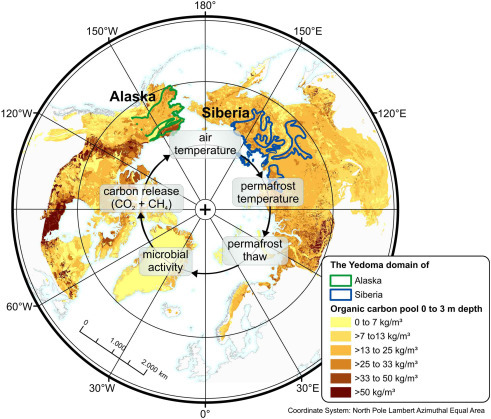 Although ground temperature increases in permafrost regions are well documented there is a knowledge gap in the response of permafrost carbon to climate change. 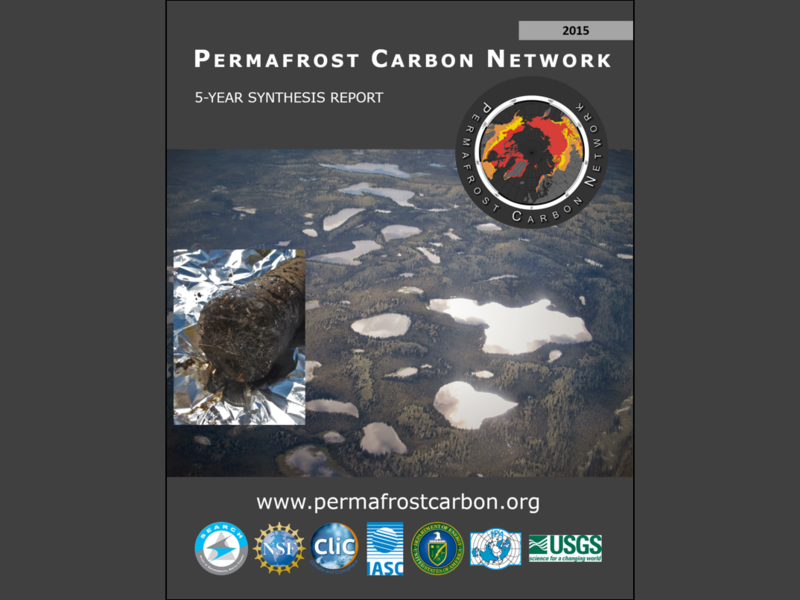 The Permafrost Carbon Network started in 2011 and our main objectives are to synthesize existing research about permafrost carbon and climate ina format that can be assimilated by biospheric and climate models, and that will contribute to future assessments of the Intergovernmental Panel on Climate Change (IPCC). 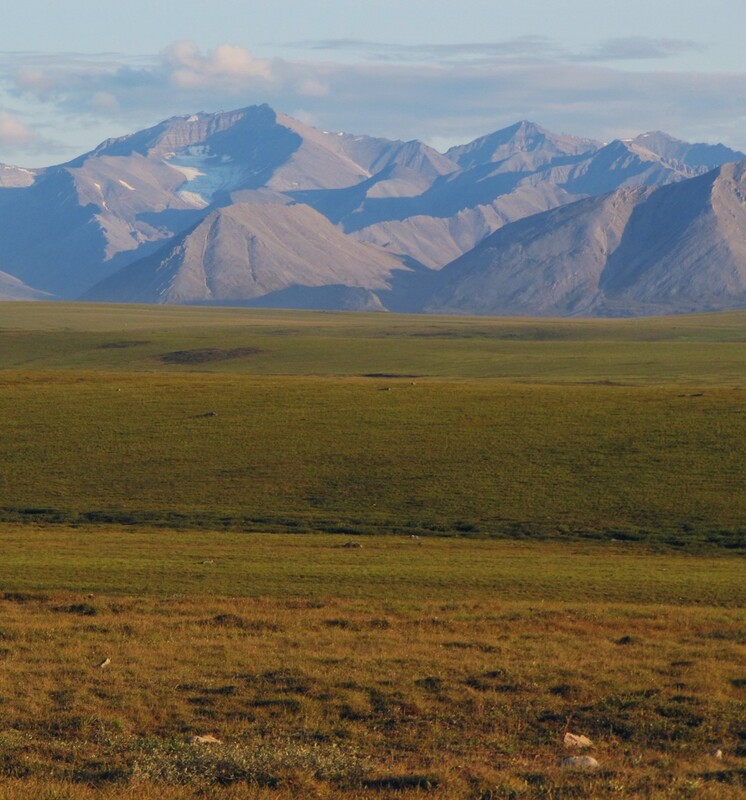 Our activities include a series of meetings and working groups designed to synthesize ongoing permafrost carbon research which will produce new knowledge to quantify the role of permafrost carbon in driving climate change in the 21st century and beyond. 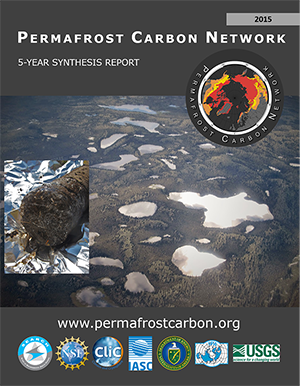 Click here to see the newest publications on permafrost and carbon.